This is an oldie but a goodie. Anyone who's ever played D&D, WoW, or any other fantasy role playing game will instantly relate to it. 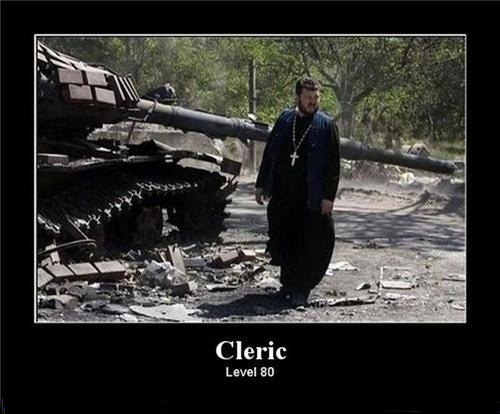 I wonder if the fellow in the picture knows he's become the standard for super-clerics?